Have you ever had to choose between two seemingly good things. In such situations we are often forced to ask the question, “which is better.” It’s a question about the degree of goodness. We may note that there are some things in this world which have more goodness than other things. 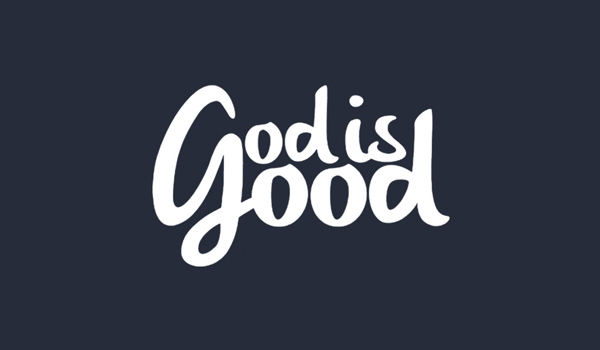 This reality of the degrees of goodness is actually a simple pointer to the existence of God. When talking about issues of moral apologetics, we must pursue arguments with humility. As a Christian I recognize that all truth is God’s truth and that nothing truly makes sense apart from Him. Yet, in the formation of arguments, I must submit to the reality that my ability to formulate and shape thoughts is fallible. I can make compelling cases for my beliefs, but such arguments are not without limitations and challenges. So, as I prepare to present an argument for the existence of God based on the existence of moral judgments, I know that plenty of wise critics will find fault and room to critique. The cumulative weight of Christian apologetics is a serious challenge to anti-Christian thought, but no single argument can functionally end the conversation. I don’t presume that this argument will either. Nonetheless, I want to make an introductory case for the existence of God based on moral distinctions. I am deeply indebted to David and Marybeth Baggett for these thoughts. Their wonderful work, The Morals of the Story, turned me onto this idea. I summarize their thoughts here for my readers, but I encourage you to pick up their book. The notion of “the good” has a long and significant history within philosophy. It can be dated all the way back to the time of Plato. For Plato, the highest form of knowledge was knowledge of the Good. In his famous allegory about the cave, told through the voice of Socrates, he reveals that there is a realm beyond that of sense experience (see, The Republic). There are realities that we do not see but which do exist. Everything that exists has its participation in the Good, which establishes the purpose for which everything exists (i.e. what it is “good for”). The Good is distinct from all other “forms,” all other things and concepts. It “subsists in itself,” write the Baggetts. The Good, then, has a metaphysical component to it. It is not hard to see, then, why so many Christians picked up Plato’s notion of the Good and ran with it. It is necessary, then, that the Good be ultimately tied to the very nature of God Himself. Thus, ultimately to love the Good will mean to love God. As the Baggetts write, “Since the human telos is loving the good and God is identical to the good, human happiness or eudaimonia is found in loving God” (66). We love the good because we were created to love God and He is the good. In other words, we have an innate sense that there is an ultimate goodness, and we know that because even when we evaluate good things we are comparing them to some true “form.” When we recognize that one thing is better than another thing we are recognizing some thing’s proximity to the most good. That supreme good is God Himself. The question at the heart of this argument is on the nature of objective, universal goodness. How do we innately understand that there is a scale of goodness? The issue is not which things are truly better. One person might think “A” is better than “B” and someone else disagrees (“B” in fact is better than “A”). It’s not the application that is the fundamental question, it’s the notion of degrees of goodness itself that points us towards God. How do we come to this understanding that some things are better than other things? We come to this conclusion because there is an objective, universal goodness, a truest, noblest, most good thing in existence. What is the most good? As we have already seen argued, it must be a personal entity (not an abstract force) and that leads us closer to the Biblical God. No doubt this argument has flaws and weaknesses, and those much more trained in moral philosophy will easily pick them apart. I recognize that there are some leaps in my argument, and some further clarification needed. Yet, I was personally captured by this idea of degrees of goodness leading to the concept of God. Even within our own moral capacities God has hardwired reminders of His existence and our need for Him. It is not a perfect argument, I know, nor is it conclusive, and yet I find it a beautiful thought. Our experience and evaluations of goodness lead us to greater goodness, and that leads me to God.